My daughter didn’t even get the dress on all the way before her arm busted through the front of the dress. The fabric is such terrible quality that we can’t even sew it back together. It is also see-through in the front so she would have to wear a shirt underneath. Extremely disappointed. Will not be buying from this site again. This is a nice costume, but the size M barely fits my 8-year old who generally wears a size 8. It is also VERY short, so she will need to wear leggings with it vs wearing tights. I wish I had bought a bigger size, but it will get us through halloween! Looks great, but rips easily! 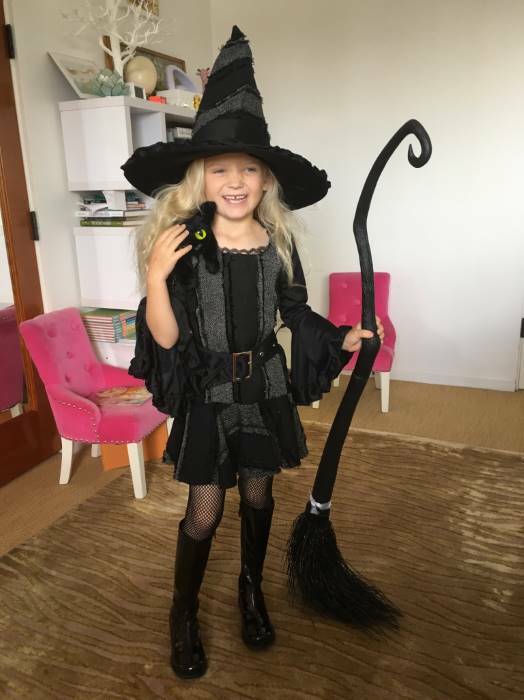 This witch costume looks really good. It’s very stylish and flattering. 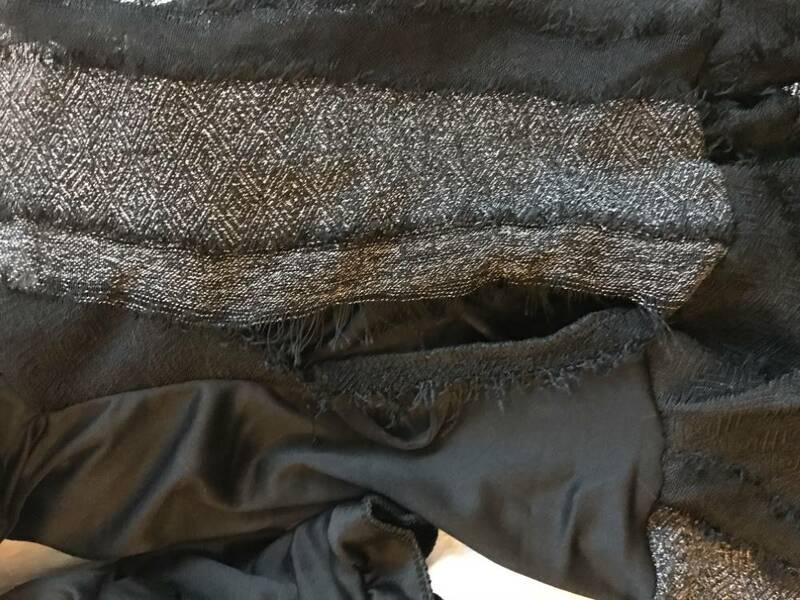 Unfortunately, it ripped after washing it and by the time my daughter had worn it for a few hours on the first day, it had three MAJOR holes in it. The seams are so loose that I’ll have to order another one. It can’t just be sewn up. It’s a shame because the dress is really pretty. Don't waste your money! It arrived with a big tear under the right hand. I sewed it, but once my daughter put her backpack on the entire left side tore up (from armpit to waist) !! I complained with customer service and was promised a 30% refund... which of course I haven't seen until this day. This is a piece of garbage! 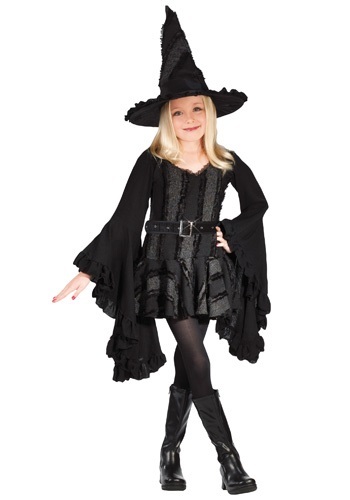 Hello, Thanks for your input on the Girls Black Witch Costume. Our apologies if it did arrived torn. In looking at your order information, it shows that you were, in fact, refunded by us, on 10/20/18, for the 30% off the costume cost, as we promised. Please contact us again, for any other questions/concerns. Best regards. Costume came with the side of the costume unraveled. The company offered to replace it or give me 30%off if we could fix it ourself. Sounds like their standard offer on poor quality items. I was able to get my seamstress friend to fix it and it looked adorable on my daughter. This product had a large rip in the fabric when we removed it from packaging. This site was quick to refund so I do recommend this site but not this product. I did sew the fabric and it was cute on but through the night it had several snags and rips due to thin fabric. This costume is very poorly made. It came ripped underneath the arm. Parts of it are also see through. The length is very short. Runs EXTREMELY small....my daughter is a size 8 and the Medium (8-10) was too small....belt came missing gold loop in belt....belt barely fits around her waist.